The Brunel Engine House in Rotherhithe is a top attraction in the district. It houses the Brunel Museum and its design was signed by Marc Isambard Brunel. It was included in the Thames Tunnel infrastructure. Inside the museum, you will find details about the tunnel construction. It features an Open House Weekend every year. 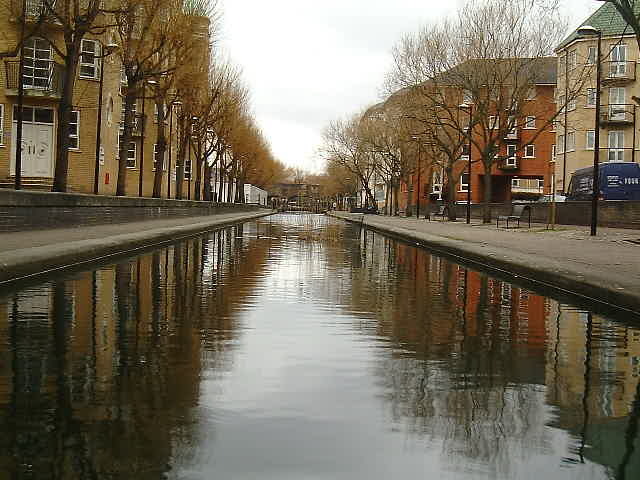 The Canada Water is a wildlife refuge and freshwater lake in Rotherhithe. 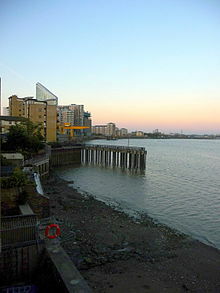 It got the name from the Canada Dock that was replaced by a shopping centre (Surrey Quays). It features the Albion Channel, an ornamental canal that connects the Surrey Water with the Canada Water. The London Docklands have no other body of fresh water besides the Canada Water. St Mary’s Church is another place you can visit in Rotherhithe. It is the local parish church and it was constructed in the 18th century. It has survived until the present days and it features an organ dating from 1800. It was re-established several times throughout the years, the last restoration taking place in 1991. 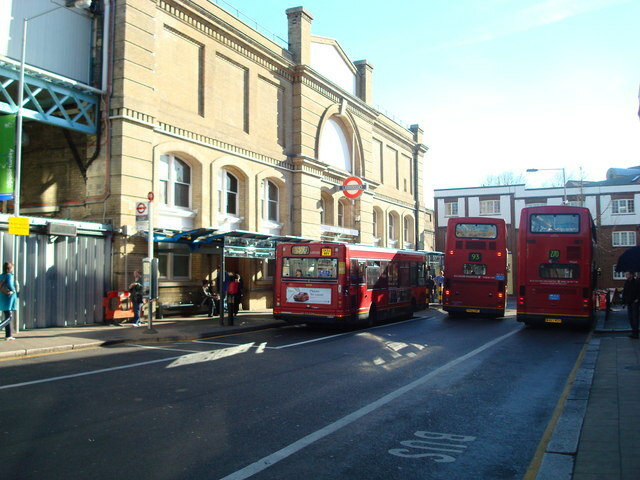 There are numerous landmarks and attractions that are worth a visit in Tottenham. One of them is the Tower Gardens Estate. This is an LCC estate that dates from 1904 when its construction began. Its design resembles the Ghent houses, in Belgium. It is a terraced house with a design extracted from the Arts and Crafts movement. Some of the major features of interest are the 2-story projecting bays, the porches, the low eaves, the long roofs, the impressive chimneys, the gable dormers and the gables. Tower Gardens have a large variety of streets and roads and most of its houses are quite small. The properties that have been constructed later are larger, including an adjacent storey. Another fine landmark in Tottenham is the St Ann’s Church. It was established in 1861 and it features an organ that used to be housed in the Crosby Hall. Felix Mendelssohn Bartholdy, the composer of the Wedding March in Shakespeare’s “A Midsummer Night’s Dream”, gave frequent recitals on that organ. One of the finest streets in Fulham is Fulham Broadway. It is the perfect place to go and have a walk or drink a coffee. The street is pedestrianized and it features various salons, bars and cafes. Waitrose is the region’s largest supermarket and it also sits on Fulham Broadway. The district is also home to a wide array of open spaces and parks such as Parsons Green, Eel Brook Common, Bishop’s Park, South Park, Hurlingham Park and Fulham Palace Gardens. The Hurlingham Park is in fact a multi-use stadium used mainly for athletics events, football matches and rugby matches. It also hosts the Fulham and Hammersmith Rugby Football Club. The park dates from 1954. The Eel Brook Common used to be home to the Fulham Football Club. Nowadays, it is home to various sport pitches. Fulham accommodates numerous residential roads and expensive properties. The residential streets in the district are lined by trees and the houses feature various pastel shades. 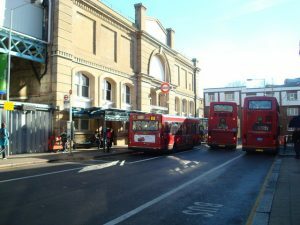 Because of its charm, Fulham was featured in various movies such as “Sliding Doors”, “The L-Shaped Room” and “The Omen”. If you’re into sports, then you must definitely visit the Mile End Park with its Mile End Stadium. This is an athletics stadium, but it also has facilities for basketball and football. It is home for two football clubs: Sporting Bengal United Football Club and Bethnal Green United Football Club. There is also the Tower Hamlets Football Club, the city’s own football club. Another occasion to practice various sports and relax is to visit the leisure centre within the Mile End Stadium. It features a swimming pool dating from 2006. You can see other pool in Bethnal Green, St Georges, York Hall and Limehouse. 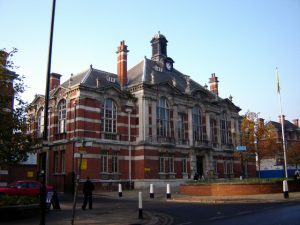 Numerous boxing tournaments are held at the York Hall. It also features a complex of Turkish baths that have been recently renovated and transformed into a public spa. Mile End Park also features the Green Bridge, dating from 2000. It links the 2 sections in the park and its path is filled with trees, water features and gardens. If you’re into a shopping spree in Cardiff, you must definitely visit the city centre near the St Mary Street and the Queen Street. Other large retail parks are situated in Pontprennau, Newport Road, Leckwith, Culverhouse Cross and Cardiff Bay. The St. David’s Centre is the major shopping centre in Cardiff. It’s situated in the area of The Hayes and in 2009 it was extended, making it the country’s 9th largest shopping centre and one of the greatest shopping destinations in the UK. The complex includes the St David’s Centre, St David’s 2 and St David’s Hall. St David’s 2 is comprised of a wide array of facilities and areas, including the Working Street, Eastside, the Lower Grand Arcade, the Upper Grand Arcade, the Hayes Arcade, St David’s Way and St David’s Walk. An impressive commercial area located in Cardiff is the Castle Quarter. It features the most famous Edwardian and Victorian arcades in the city: Duke Street Arcade, High Street Arcade and Castle Arcade. It also has numerous shopping streets such as Duke Street, Castle Street, High Street and St Mary Street.